As you may have noticed, I’ve been absent from blogging for quite awhile. We suddenly found ourselves without a builder and have had to do everything on our own. So we’ve been busy finding tradespeople to finish the job, gathering quotes and trying not to go insane. I’ll do my very best to check in on all of your blogs…so please bear with me. 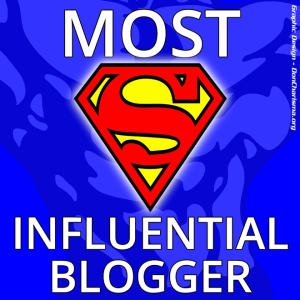 Kim at Chronic Conditions & Life Lessons (http://kimgosselinblog.com ) generously nominated me for the Most Influential Blogger Award! If you haven’t visited her wonderful blog, please stop by. She has a way of inviting you into her life: making you feel as if you’re sitting right there with her. I thank you abundantly, Kim! When I first contemplated starting a blog, it began as a thought in my imagination. A practical endeavor. I imagined what it would be like. I imagined how many hours I would spend on it, how it would hone my writing skills and keep me accountable to write daily about things other than what I’m working on for my book. I thought I had imagined all possible scenarios. I was wrong. What I didn’t imagine. Not for one second. (if I’m being honest.) I didn’t imagine the connection I would feel with fellow bloggers. I didn’t imagine I would worry and pray for certain bloggers after reading a troubling post. I didn’t imagine laughing right along as if reading a letter from a friend, while reading a humorous post. I didn’t imagine all the long hours it would take to actually read everyone’s blogposts. I didn’t imagine all the brave, courageous bloggers that would serve to inspire me in my journey of pursuing my passion. I didn’t imagine that to be honest, open and raw could be awe-inspiring to the degree that it’s been. And whether your honesty came from the harshest depths of pain or the highest reaches of joy…they all served to heighten my imagination. I didn’t imagine that my blog would be read all across the world. Though it’s still a humble little blog, I appreciate each and every person who drops by. I continue to be touched and intrigued by the life stories and images that you share. Announce your win with a blog post, thanking the blogger who awarded you. This award may NOT be included together with a “basket” or a “lump” of any other awards. It is special. Link your awardees in the post and let them know with a comment. Include an imbedded video of your current favorite song (YouTube has everything) Just copy & paste into your WordPress Editor. If a video is not possible, please embed a Sound CloudTrac. I nominate the following bloggers who I feel have been brave enough to be completely open in showcasing the artistry of their life’s canvas. It is through their transparency and imperfections that allow me to see beyond, to the beauty of their imagination. You inspire me to work harder and to dig even deeper. Thank You. And Congratulations!!!! Special acknowledgements to Don Charisma, the originator of the award. I’m sure it comes as no surprise that my song of choice is John Lennon’s “Imagine.” Without imagination we are merely words and photos and humans that are but one dimensional. This entry was posted in Most Influential Blogger Award and tagged Blogging, Inspiration, Most Influential Blogger Award, writing. Bookmark the permalink. Oh my goodness! I was reading this, going to say, “Congratulations, my dear!” And, I found my name amongst such lovely people. I am, like you, so continuously surprised at how much I really care about my fellow bloggers! It is truly unexpected that you are passing on the wonderful award nomination for Most Influential Blogger. I feel blessed and grateful for you, as a continuing friend. Thanks so much and Congratulations to you! So glad that the time is finally given in weeks instead of months, Karen!! Yea!! Soon, you will no longer have a ‘packed’ life! It will be an unpacked and much more calmer life! Thank you so much – you are very kind! Welcome back and I hope that all is sorted now with your house. I haven’t been posting (or reading) much, either. Been busy dealing with myself as I had more (possibly) bad news about my heart. Have to have another test, which isn’t until August 16, and the wait for definitive results is both tedious and worrisome. Arrgh! Abundant THANKS for your kind words, Robin! It’s truly amazing what “gifts” we receive when we allow ourselves to be open to receive them…and you are one of them! I don’t display the awards on my blogroll either, in fact after this I will be an award free blog. Delegating time between the book and blog has always been a struggle for me. I feel that lately my book is the needy child crying in the corner. So soon I will have to make some decisions as to my priorities. Dear Karen, first Congratulations for your award, and second many thanks for passing on your kind nominations, and third so sorry to hear you have been having a nightmare of a time with your building project.. I am sorry I am only just acknowledging it but I have had some me time out from my blog.. Yes the WordPress Blogging community is truly like family and its so good to have made so many friends from around the globe… And its truly wonderful to meet and greet and share in their lives… We are after all ONE BIG FAMILY… The Human Race… ..